Slate tile, whether used as a back splash, wall or floor, is a durable and rustic material. Though available in various colors, patterns, textures and sizes, the cost associated with swapping out slate tile if you want to change colors is high compared with staining the tile itself. Using a two-phase approach to changing the color of slate tile will help you achieve the look you want. Adding a layer of color to slate tile and grout is pretty straightforward. Clean the slate tile, including all grout. Use an alkaline solution to ensure proper and thorough cleaning of the slate. 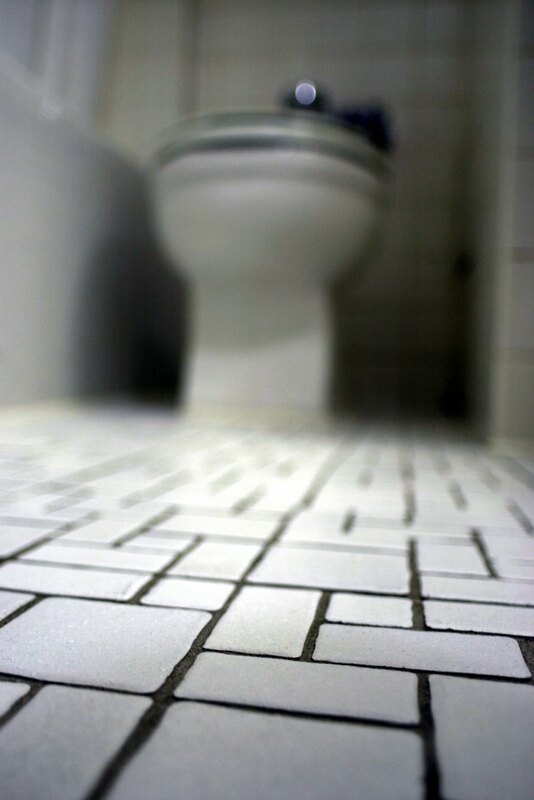 Grout cleaning is best done by using grout cleaner with acidic properties to remove trapped dirt and debris. Allow both the slate tile and grout to dry completely, preferably overnight, before proceeding. If you do not have access to slate tile and grout cleaner, use a solution of mild dish detergent and hot water for general cleaning of the surface. Squeeze out a small amount of epoxy grout paint or colorant into a small plastic container. Work with small amounts for better control and to prevent clumping. Dip the end of a small paintbrush into the paint and apply directly to the grout located between slate tiles. Continue adding paint until all grout has been colored. Allow to dry overnight. Pour oil-based, epoxy or acrylic paint into a small plastic container. Using a medium-size paintbrush, apply a thin layer of paint over all slate tiles to add color. Allow each layer of paint to dry completely to determine the final color. Slate tile is porous and will absorb the paint, so it might be necessary to add additional coats of paint to achieve the desired color. Apply a thin coating of clear sealant over all slate tile and grout to help preserve the paint you just applied. Allow the first coat of sealer to dry and add an extra coat if the slate tile is used in a humid area, such as a bathroom, or as flooring with heavy foot traffic.